When the news reports are flooded with tales of hatred and fear, a girl asks her papa what she can do to make the world a better place. "Come with me," he says. Hand-in-hand, they walk to the subway, tipping their hats to those they meet. The next day, the girl asks her mama what she can do; her mama says, "Come with me," and together they set out for the grocery in their multicultural neighborhood, "because one person/ doesn’t represent a family/ or a race/ or the people of a land." After dinner that night, the little girl asks if she can do something of her own and walk the dog. Her parents, overcoming their own fears, let her go. 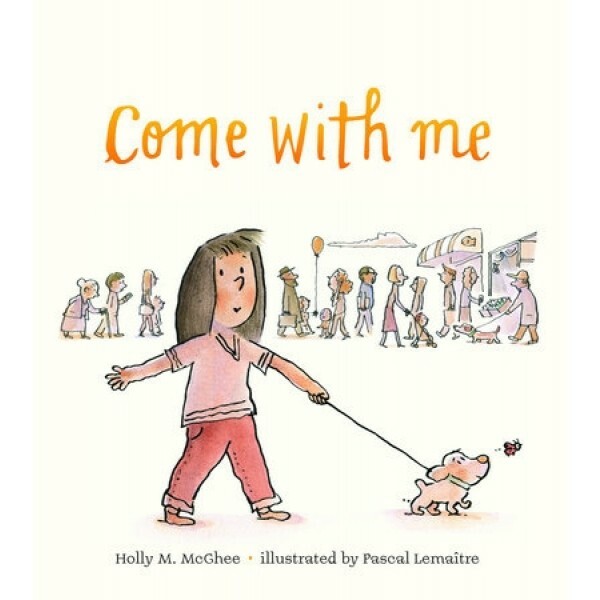 "Come with me," the girl says to the boy across the hall when he asks where she's going. As they walk together, greeting neighbors, the girl and the boy begin to see that as tiny as their part may seem, it matters to the world. And, young readers are left with the powerful message that their part matters too. 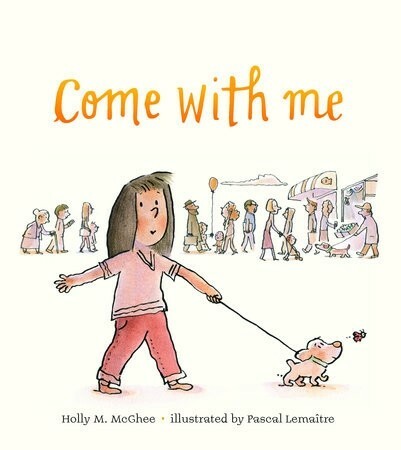 In this lyrical and timely story, author Holly M. McGhee and illustrator Pascal Lemaître champion the power of kindness, bravery, and friendship in the face of uncertainty.